While international politicians struggle to develop an appropriate response to Europe's migrant crisis, World Help is already on the ground working. More than 15 million people have been displaced in the ongoing Middle East conflict, triggering the world’s largest refugee crisis since World War II. As violence, sickness, and hunger threaten these families, they are choosing to make the most dangerous journey yet: The flight to Europe—with dreams for a better future, but without guarantee of survival. While headlines are filled with international politicians struggling to develop an appropriate response, World Help is on the ground . . . committed to being the hands, feet, and heart of Jesus. 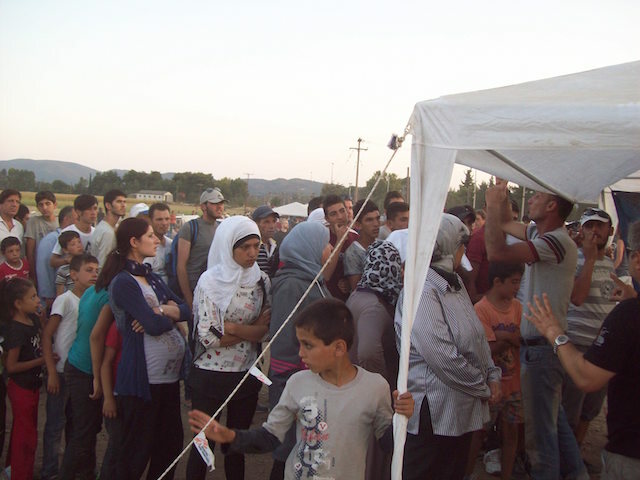 In addition to aiding refugee families in the Middle East, God has opened the doors for World Help to make a critical impact for thousands of refugees reaching the Greek-Macedonian border. 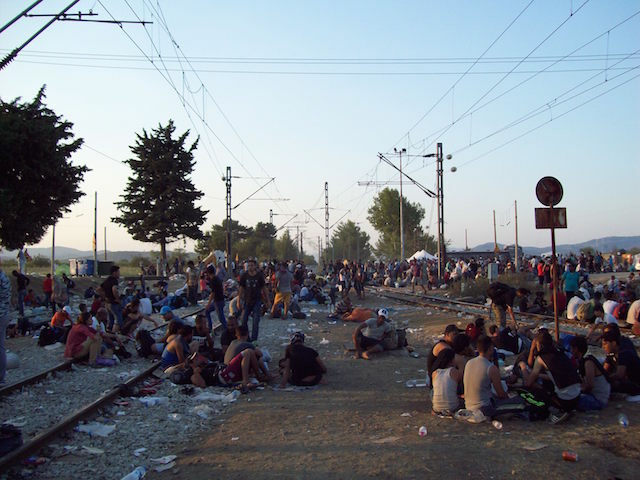 Every day, our partners here are hit with an influx of marginalized migrants, most of whom are Iraqi and Syrian. The overflow is mind numbing. Greece is currently registering 15,000 refugees on a daily basis, yet estimates suggest thousands more are trickling through the country undocumented. Some have trekked up to 1,000 miles, making the physically agonizing journey by boat or crossing the borders on foot. Once they arrive, these migrant families have had no choice but to sleep outside without shelter—unprotected from the rain and cold. The majority of them have no way of purchasing food or supplies. They are literally arriving with only the clothes on their back. Children have fallen sick from the elements, yet do not have even basic medication to soothe their ailments. They are exhausted, hungry, and terrified. As these refugees arrive at the borders, our partners are working to provide relief kits and hope through the Word of God. For just $5, we can provide each new refugee with a supply of portable food, water, medicine, diapers, baby formula, rain gear, blankets, and a copy of the Arabic New Testament. Just imagine the tangible hope these simple kits will provide. We are quite literally investing in physical help for today and eternal hope for tomorrow. These men, women, and children do not need our pity. They need our personal intervention, and they desperately need the refuge that can only be found in Christ. Will you choose to be part of the solution in today’s migrant crisis?